The events have been staged, medals awarded, and the celebrations are over but memories of the Glasgow commonwealth games this summer live on in the volunteers minds as we reflect on those eleven amazing days. The volunteers of Glasgow 2014 can proudly say that WE WERE THERE. From the time the games were awarded to Glasgow, UWS staff and students took an active interest in supporting the games for example through the student led LEAD 2014 programme involving students and school pupils from all over Scotland, a two year staff secondment to the Games organising committee, and significant academic research around major sporting games. From several UWS students’ perspective, their involvement in the pre-games volunteer programme was transformative. UWS students Royce Thomas and Taylor Sexton had similar games journeys both starting as “Frontrunner” volunteers leading up to the games meaning they were in prime position to gain full time paid roles when they came up. They both played key roles in the volunteer management during the games themselves. Similarly, Christine McKelvie, an HR student, was a volunteer interviewer and gained experience directly relevant to her studies and no doubt helpful to her future career plans. The volunteer workforce roles varied from people working with the press, sports officials, results technology, team liaison, ceremonies cast and city hosts to name a few. The workforce represented a microcosm of the labour market where students as volunteers could develop a whole range of skills to enhance their employability. As the games drew closer more students and staff were selected for their games time volunteer roles. Some, such as those selected for the Host Broadcaster training initiative gained skills directly relevant to their studies in television production and live sports broadcasting. Attending events and seeing some of these trainees sitting at mixing desks or directing boom mics you would have thought they were seasoned professionals. This experience will add weight to their future job applications. Others like Chris Gentles, a Business Technology student were selected as volunteer team leaders and were able to develop their leadership and organisation skills. As a spectator services volunteers my role was known as the face of the games. Our friendly smiles and lively banter kept the crowds in buoyant mood as they queued on their way into Hampden Park or climbed the steep hill from the bus stops up towards Cathkin Braes Mountain bike park. Our training was focussed on customer service with an emphasis on equality and diversity. My motivation for this role was to welcome people to Glasgow and just to be part of an amazing event. Watching Alistair Brownlee romp home in the Triathlon and seeing Jo Pavey and Eilidh Child take their silver medals were stand out moments for me but so were many of the laughs and fun we had as a team. One of the rewards many people are still talking about is lasting friendships that formed during the games. 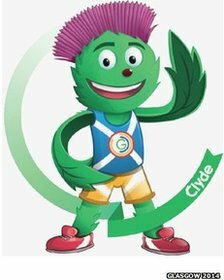 Posted in Volunteering and tagged Commonwealth Games, Glasgow 2014, volunteering. Bookmark the permalink. Have you thought about how you are going to stand out from the crowd when applying for jobs after graduation? Read how volunteer work and internships can help you do so. How can volunteering help you land your first job? When an employer receives numerous applications for a graduate job role that are all very similar to one another, what does that person do to determine which candidate is right for the position? Many look for more than just academic achievements, paying close attention to additional activities such as any volunteering and internships that an applicant has organised and undertaken. These unique selling points can provide a candidate with a real opportunity to stand out from the crowd. They signal that a person has achieved more than just academic qualifications, while they allow an employer to gain insight into the personality of the applicant so that they can decipher whether or not that person would be a good addition to their business. Volunteering throughout your university career or taking on an unpaid internship can let employers see that you are the right applicant to hire. Business owners want more than just average run-of-the-mill employees; they want talented staff members capable of driving their company forward. Volunteer work or an internship can demonstrate to a potential employer that you are a high calibre applicant and possess talent, passion and determination that would be well worth investing in. Taking on a placement related to your career path can also give you the opportunity to achieve valuable skills and knowledge, which can demonstrate to employers that you have the capabilities needed to begin in the role without much difficulty. If you carry out unrelated volunteer work, this will still impress employers, particularly if you can demonstrate that you have gained transferable skills, followed an incredible passion or made significant achievements for the business you worked for. Any volunteer work and internships that you carry out can also allow you to build up a professional network, which in turn can help you to get your first footing on your career ladder. Volunteering can put you in front of business owners and industry leaders, giving you the opportunity to showcase your capabilities to them. If they are impressed by the effort you put in and the achievements you make, it is likely that they will remember you or even want to stay in contact. Developing a good reputation or relationships with these people can work in your favour, so that when any work opportunities arise, they will already know and trust your talent and competency. Unpaid internships can sometimes even lead directly to full time work within an organisation. If a business owner recognises that a volunteer or intern is talented and would be an asset to their business, it is not uncommon for employers to then recruit that person right away. Where to include voluntary experience in your CV? As volunteering and internships have become so crucial to employers and one of the main elements they look for when determining between candidates, now is the right time to go out and gain this experience. There are many businesses requiring volunteers as well as organisations offering placements and work experience to students, so with the right dose of effort and initiation you should be able to find volunteer work to help you stand out from the crowd. Author Bio: Ashleigh Harman is a digital content writer for Portfolio Procurement, a recruitment agency specialising in procurement job vacancies and careers. What’s expected of a volunteer? Posted in Volunteering. Bookmark the permalink. The University of the West of Scotland has been registered and is eligible to participate in the GoEuro Scholarship Programme. The winning student will receive a scholarship of €2000 and the chance to complete a 1-3 month paid internship at GoEuro’s Berlin office. Entries will be accepted in a variety of formats from videos to essays, blog posts to YouTube clips, or whatever you can imagine! Posted in Careers, Global Horizons. Bookmark the permalink. What is TEFL I hear you ask, TEFL stands for teaching English as a foreign language. And here at TEFL Org UK we truly believe that if you can speak English, then you can teach it. You can study our courses online and in the classroom, in destinations across the UK and Ireland. We are proud to say we are the most accredited TEFL course provider in the UK; we have more independent accreditations than any other provider out there. Our accreditations come from the following organisations; British Accreditation Council (BAC), Scottish Qualifications Authority (SQA Approved Centre), Open & Distance Learning Quality Council (ODLQC), Investors in People and UK Register of Learning Providers (UKRLP). Our qualification is recognised globally, we work alongside employers from all over the world to bring hundreds of jobs to our TEFL Jobs Centre and as a TEFL Org UK student you will have free lifetime access to the job centre. We also offer continuous support after you have completed your course, with support available for writing a covering letter or CV that no TEFL employer can ignore. “My experience of teaching English in China has been an amazingly crazy experience so far, it has led me to sign a contract to stay here longer and this wasn’t my initial plan. Being an English teacher in China is extremely rewarding, the students come to class everyday eager and ready to learn. Everything you teach is new to most of them and they are fascinated by it all. One world week is an opportunity for people from diverse backgrounds to come together to learn about global justice, to spread that learning and to use it to take action for justice locally and globally. “Living Differently” is the theme for One World Week 2014. It recognises that we need to make changes now to secure a fairer, more satisfying, life for us all and one that protects the planet’s resources for future generations. to recognise our responsibility to care for the earth, share its resources fairly and use them sustainably to ensure they are available for future generations to use in their turn. What does this have to do with Careers & Employability? A recent report from the British Council stated that employers are looking for “candidates who can navigate a workplace that transcends national and cultural borders, particularly for positions that require interaction with individuals and organisations from nationalities and cultural backgrounds different from their own” (Culture at Work, 2013). Global graduates require a blend of competencies and corresponding attributes spanning global mindsets, cultural agility and relationship management and must be able to apply them flexibly. One World Week is an ideal opportunity to improve your global and cultural knowledge. Posted in Global Horizons, Skills Development and tagged competences, employability skills, global graduates. Bookmark the permalink. Graduate fairs can be busy, intimidating and generally scary, however, they are an ideal opportunity for you to start networking with possible graduate employers, to learn a bit more about the graduate recruitment process and most importantly build up your confidence in professional situations. First off- what is a graduate fair? It is basically a very busy hall filled with potential employers- in graduate jobs and placements or internships, professional bodies, and educational establishments offering post graduate study information. Therefore, the best thing you can do before you go is prepare! Have a think about what you want to get out of it. While you are there be polite, enthusiastic, take your time to have a walk round and find out where the companies you want to talk to are situated. Use this opportunity wisely! It is a very valuable networking opportunity and a chance for you to make a good impression on recruiters and learn about opportunities. Ask questions, take notes, be prepared to talk about yourself and the skills you have that are relevant to the company- not about how drunk you were at the weekend! Relax and enjoy the experience. In the days following the fair take the chance to make connections and reinforce possible networks- social media is an ideal way of doing this. Connect with people on Linkedin, follow people on twitter- make sure your own profile sells you as best it can and keep it professional at all times!! Start to identify 10-15 companies that you want to target, find out about their recruitment process and take note of the closing dates for applications. Then all you have to do is work on making your application forms and CV’s the best they can be!! Come and see us in the Careers and Employability Service and we can help you along the way, and make sure you are making the best applications possible, giving you the best chance of getting that all important first graduate job.